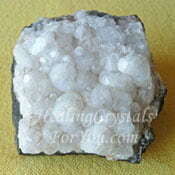 Scolecite is one of the high vibration crystals, and is a strong stone to aid communication, especially with spirit. 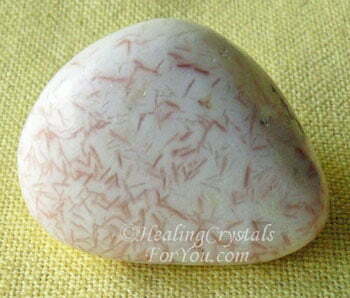 It is a stone that awakens the hearth as it has a strong resonance within the chakras from the heart up. 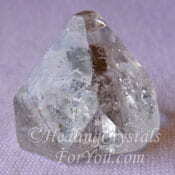 This facilitates deep inner peace and spiritual transformation. 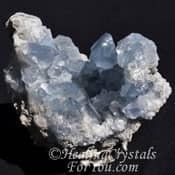 It is wonderful crystal to aid you to feel calmer and more relaxed, and having a tumble stone under your pillow is very beneficial to aid restful sleep. Once you have used it you will appreciate the wonderful gifts that it brings into your life. 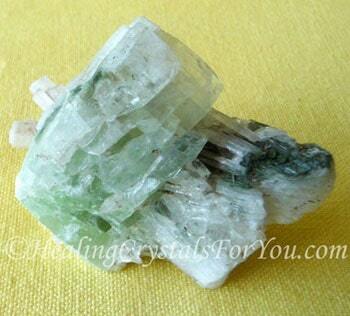 This lovely crystal helps you to bring the things that you desire into your life, as it helps you to take control of your life. 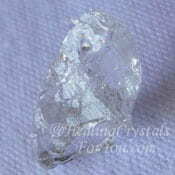 This lovely crystal has been found in India and Iceland. Although it's color is commonly white, it can also be colorless and there are some less common pink, salmon, red and yellow stones. 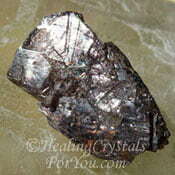 It forms in thin vertical striated prismatic crystals, in massive form and in nodules. The unique look of these crystals marks them clearly for what they are. 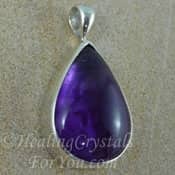 If you take a look at the picture of the pendant below, that is the way that this stone commonly looks. The meaning of this crystal's name relates to the Greek word meaning 'a worm', referring to its propensity to curl when heated. 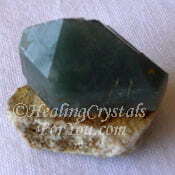 This lovely stone resonates completely with the third eye chakra. 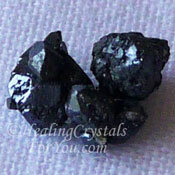 Yet unlike some of the more intense stones that affect the third eye, it is gentle and calming as it makes contact. 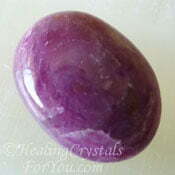 The sweet sublime contact with spirit that one feels, makes this a wonderful stone for the crown chakra too. 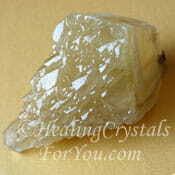 When you hold this white crystal in your hand you will feel a deep calming energy flow through your entire being. 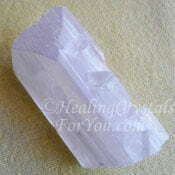 Shop for pieces of Scolecite at Exquisite Crystals, my most reliable crystal seller. From the moment you first use it you can understand the advantages it will bring into your life. 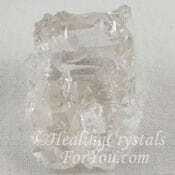 This white crystal embodies a deeply spiritual love, that will flow through you when you first experience the energy of this stone. 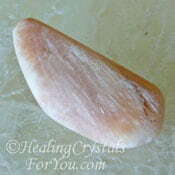 It is the most profoundly peaceful stone, allowing you to make contact easily with spirit and your higher self. Its energy is instant and deeply restful. Its vibration is akin to the feeling of love. 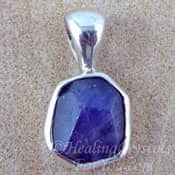 It gently and peacefully awakens both the heart chakra and the deeper thymus chakra, also known as the higher heart chakra. 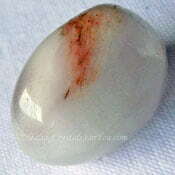 The high vibration of this white stone, and its connection with the heart, makes it one of the most powerful high crystal energy stones. Own one, use it, decide to transform your life. 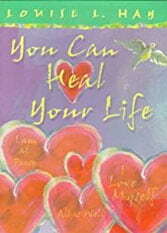 The possibilities for personal transformation within both your spirituality and health are boundless. 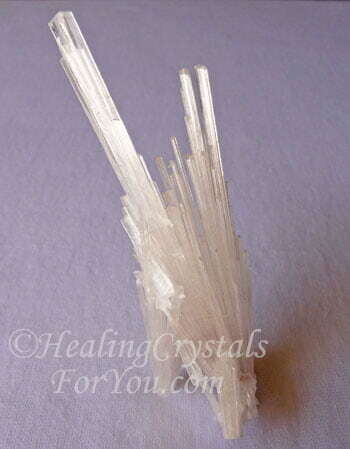 It is known that Scolecite is a powerful stone to aid the healing of bruises. Keep it close to you for as long as possible each day to aid its action. 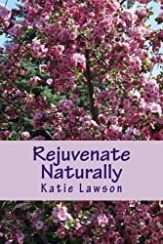 If you have a skin cream you use to rub on your bruises, it may be beneficial to hang a piece off the bottle to help the cream to absorb the healing energy of this crystal. 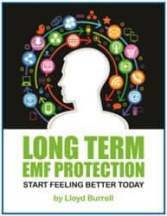 "Look out for your own personal calling, listen to it, do it. Create your own destiny. Live the life you want!" 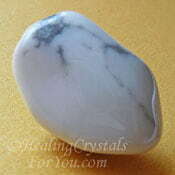 It is easy to buy Scolecite, and having this stone within your aura all day is beneficial, as it may help to prevent anxiety and the build up of stress. 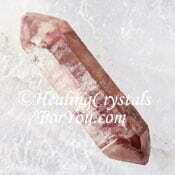 Any of the high vibration crystals will benefit by being combined with it. 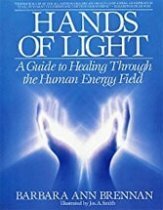 Its calming energy will make the spiritual contact happen more gently and with less intensity, while still being so powerful. 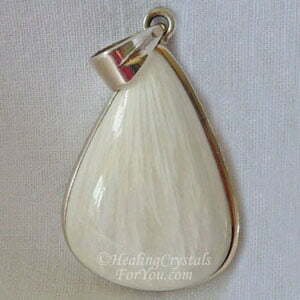 My White Scolecite pendant is lovely to wear, and helps me to feel relaxed and quite calm. 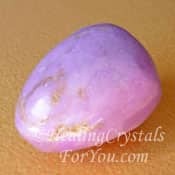 If you use it in meditation with a group of the more intense stones at the same time, it will bring through a deeply heart based spiritual connection. Make the choice to create the life you want! 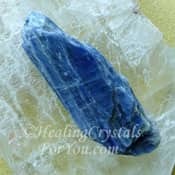 Once you begin to use this lovely crystal your intuition may begin to develop more quickly, as will many other psychic gifts. 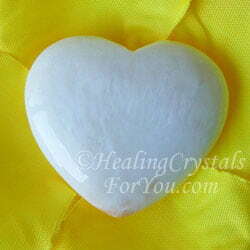 I love the calming energy that Scolecite brings to my sleep, and it is my go to stone to help me if am unable to sleep. 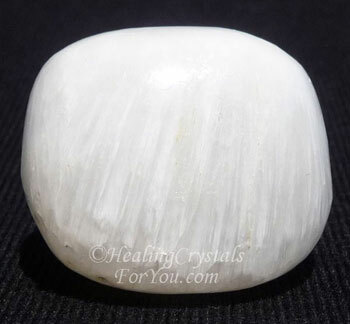 I have a piece a tumblestone of this crystal under my pillow always, as the energy of these white stones give you such good methods to relieve stress. 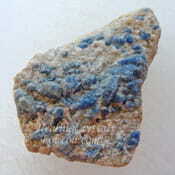 If I wake in the night unable to sleep, I hold my piece of this stone in my hand and feel the peace descend, and I am back to sleep very quickly. Its energy is wonderful for anyone suffering from insomnia, and it will also aid you if you wish to lucid dream. 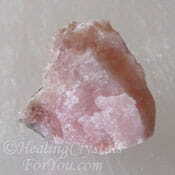 Combining it with Pink Danburite is one of the best ways of creating powerful lucid dreams, but there are also other stones you can also use with it for this purpose. 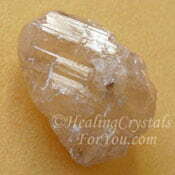 Pink Danburite is another stone that resonates deep peace and harmony. If you are having trouble sleeping combine the two for maximum efficacy. 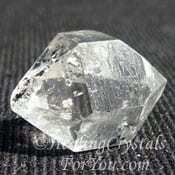 The benefits that this lovely white crystal brings to your life, make it an excellent stone to have in your life. 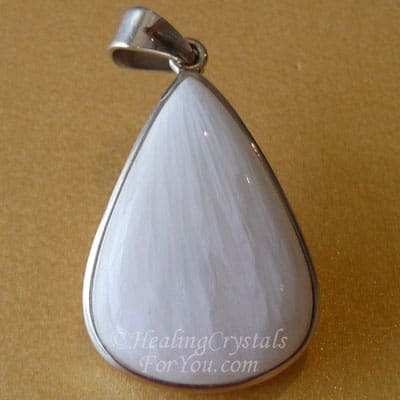 You can get it in a number of forms, and if you have been having trouble sleeping this beautiful white stone is a fantastic asset for you to use. 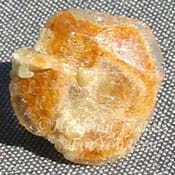 The first time that you experience Scolecite, a deep pulsating feeling may flow through you, as it makes connection with the pineal gland. 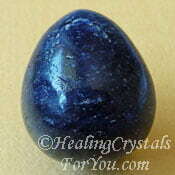 You will instantly know that this stone is entirely different to anything else you have felt before. The crystal books shown in the right column and below, are all very in-depth crystal reference books. There have been a lot of excellent new crystal books published in the last couple of years. The Book Of Stones has a new edition. When it was updated I was pleased to see a number of new stones featured. 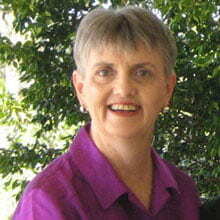 Of the more recent books, in particular I can recommend the books by Judy Hall, including Crystal Bible Three. Another one one of her latest books covers a very interesting topic. Its name is Crystals and Sacred Sites, Use Crystals to Access the Power of Sacred Landscapes, and you learn a lot about the extraordinary places that many powerful stones originate from. 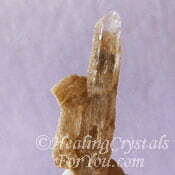 If you need to know more read my crystal book reviews here. 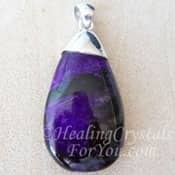 Amethyst is a crystal that provides you with an amazing crystal meditation experience, and combined with Scolecite you will go to the highest possible spiritual level you desire. Amethyst and Scolecite are also a good combination to ensure restful sleep, and they may be combined with other crystals for sleep. 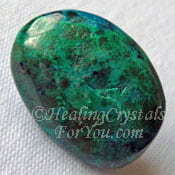 Stones to aid your sleep includes Chrysocolla, Cookeite, Zircon, Howlite, Stilbite or Unakite. 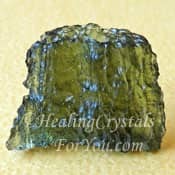 Many of the other crystal energy stones such as Moldavite, Herkimer Diamonds, Natrolite, Brookite and Phenacite, see pictures below, are very powerful. Yet using them with this beautiful white crystal assists them to go to a different level, with a purer and sweeter link to spirit. 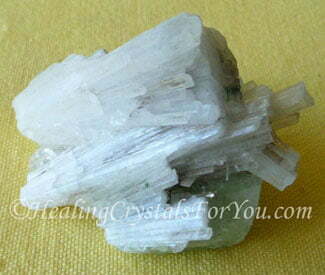 Some crystals that are less intense combined with Scolecite are Datolite, Herderite, Celestite, Tanzanite and Danburite. One of the most easy and beautiful ways to use it is to use it to meditate with. 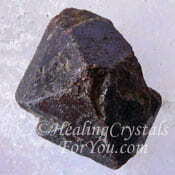 The choice of combinations with other stones are many, so use your intuition to guide you. 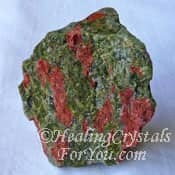 To help you to cope better with anger, combine this stone with Stellerite, and to help you to sleep better use it with Phosphosiderite. 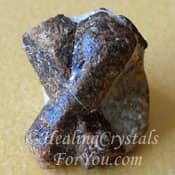 Learn some of the easy techniques to meditate, and experiment with combining it with various other crystals especially the high vibration stones. 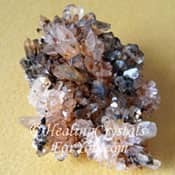 Some of the high vibration stones that you may like to use to open you up to the possibilities of creating powerful transformation in your life, includes Cryolite, Cerussite, Purple Amethyst, Herderite, Elestial Quartz, Creedite, Stellar Beam Calcite, Clear Apophyllite or Lithium Quartz. To strengthen its action to aid lucid dreaming combine it with other stones that stimulate lucid dreams. This includes Dream Quartz, Kyanite, Rubies, including Ruby in Kyanite, Golden Danburite, Amphibole Quartz aka Angel Phantom Quartz, Angelite, Axinite, Covellite, Blue Sapphire, Wavellite, Goshenite aka White Beryl, Sodalite, Sugilite and Staurolite Fairy Crosses.